Should You Switch Your Dog To A Vegetarian Diet? Dogs are omnivores, like humans are, so they can technically survive on a vegan or vegetarian diet, and some even need to in order to address health issues. But transitioning to a meat-free diet isn't right for every dog, so you should consider the following factors before switching your dog to a meat-free diet. Dr Cailin R. Heinze, a certified animal nutritionist and Assistant Professor at Cummings School of Veterinary Medicine at Tufts University, typically recommends a vegan or vegetarian diet for dogs dealing with liver disease, specific types of bladder stones, or when testing for food allergies. While she's open to working with owners who want to change their dog's diet because of their personal beliefs, she warns against putting growing puppies on meat-free diets because of the high amount of protein and other essential nutrients they need to develop. Your dog may have different needs, so you should check with your vet before transitioning their diet, even if they're facing one of the health issues discussed above. Dr Heinze points out that some popular commercial meat-free dog foods may not contain the adequate levels of protein and amino acids, so you should stick with therapeutic diets sold through your vet. Make sure to check that any commercial food you buy fulfils your dog's nutritional needs before you shell out for it. Home-cooked vegetarian diets tend to have much bigger nutritional concerns than commercial diets — many of the ones that I've seen are quite protein deficient, as well as lacking in other essential nutrients. You can get help formulating a homemade meat-free diet by finding a certified animal nutritionist. They will help you figure out if your dog should be on a meat-free diet, how to best design one for your dog's nutritional needs, and if there are any other foods your pet should stay away from. While vegan and vegetarian diets can be made to meet dog nutrient requirements, we don't know that dogs that eat them long-term are as healthy as dogs that eat more typical diets. No one has really studied the use of these diets long-term in healthy dogs. 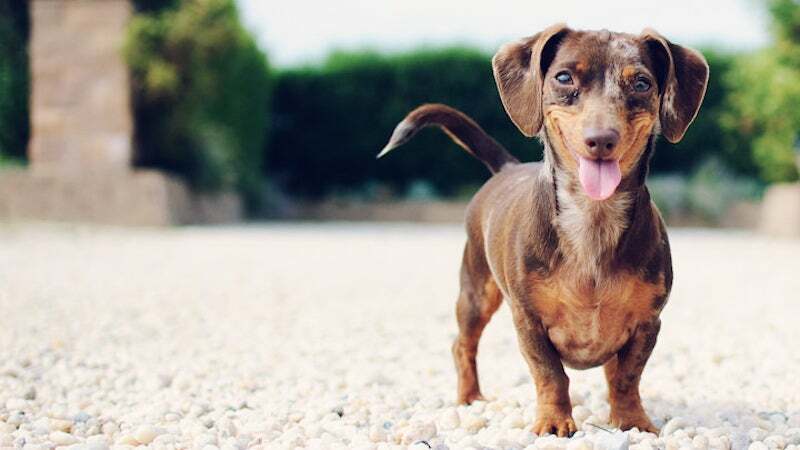 Ultimately, you have to decide what is right for your dog, but knowing the common issues that come up with vegan or vegetarian dog diets will help you figure out how to keep your pet healthy. Sure, if health reasons require it. If it's your own personal choice, then no. How do you know your dog is a vegan? No. Keep your loony beliefs to yourself and don't punish your dog. As far as I'm concerned pushing a vegan/vegetarian diet on a pet is the same as animal abuse.